MOSCOW, May 2. /TASS/. Prospects for coordination of Russia-US efforts in fighting against international terrorism in the context of the situation in Syria were in focus of a telephone conversation between President Vladimir Putin of Russia and Donald Trump of the United States, the Kremlin press service said on Tuesday. "On May 2, Vladimir Putin had a telephone conversation with President of the United States Donald Trump. The sides discussed a number of topical issues of cooperation between the two countries on the international arena. The focus was laid on the prospects for coordination of Russia’s and the United States’ action in fighting against international terrorism in the context of the Syrian crisis," the Kremlin said. "The presidents, in particular, agreed to enliven dialogue the two countries’ foreign ministers to look for options for the consolidation of the ceasefire and making it sustainable and controlled. The goal is to create conditions for launching a real settlement process in Syria. Thus, the Russian foreign minister and the US secretary of state will inform the leaders about progress reached on this track," the press service said. The presidents discussed a number of topical issues of bilateral cooperation, including a possibility of a personal meeting on the sidelines of a Group of Twenty summit in Hamburg. 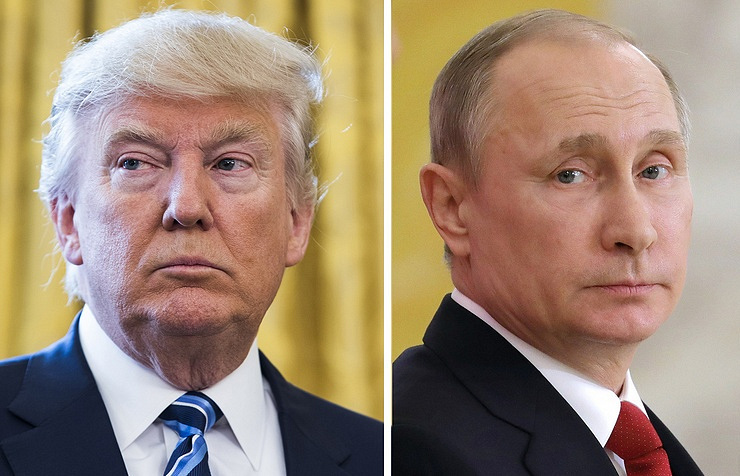 "Vladimir Putin and Donald Trump spoke for further telephone contacts and hailed the idea of a personal meeting on the sidelines of the Group of Twenty summit in Hamburg on July 7-8. The conversation was held in a business-like and constructive atmosphere," the press service said. "The sides discussed in detail the dangerous situation on the Korean Peninsula. Vladimir Putin called for restraint and efforts towards reducing tensions. The presidents agreed to establish joint work to find diplomatic solutions on the problem’s comprehensive settlement," the press service said.